Perhaps nowhere is the cleavage between novel forms of democratic engagement and the inertia of more entrenched and traditional practices greater than in the realm of fiscal planning and budgeting and the manner by which governments undertake and seek approval for their spending plans. On the one hand, over the past decade there have been widening calls for more participative experimentation in budgeting exercises. By contrast, with respect to the fundamental secrecy and top-down decision-making inherent to the Westminster model, governments have not strayed far from traditional practices—particularly at national levels. 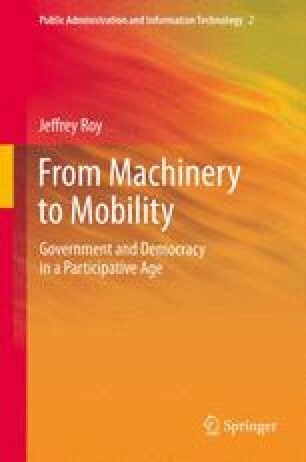 Accordingly, fiscal federalism and corresponding tensions between localized flexibility and innovation and national-centric models of democracy and government, often more rigid and traditionally hierarchical, are key determinants of public sector adaptation as mobility expands.